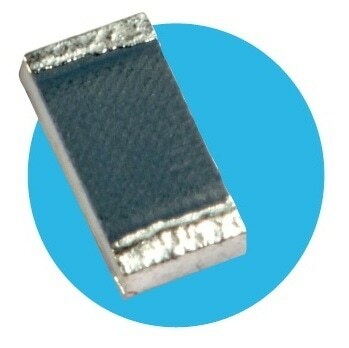 The HPWC resistors themselves can function at a maximum temperature of 155 °C. For soldered resistors, the joint temperature must not go beyond 110 °C. This condition is met when the stated power levels at 70 °C and suggested pad and trace areas are used. Pad and trace area is fixed as the total area of the solder pad plus all copper trace within two squares of the edge of the solder pad. Allowance must be made if smaller areas of copper are used. The 0805 and 1206 resistors are delivered on 8 mm carrier tape and the 2010 and 2512 resistors are delivered on 12 mm carrier tape. All are provided on seven-inch reels as per IEC 286-3. The HPWC resistors are tested in compliance with IEC 60 115-1 using both 1.2/50 µs and 10/700 µs pulse shapes. The limit of acceptance is a shift in resistance of less than 1% from the original value. The single pulse graph is the outcome of 50 impulses of rectangular shape applied at one-minute intervals. The limit of acceptance is a shift in resistance of less than 1% from the original value. The continuous pulse graph was attained by applying repetitive rectangular pulses where the pulse period was modified so that the average power dissipated in the resistor was equal to its rated power at 70 °C. The limit of acceptance is a shift in resistance of below 1% from the original value. 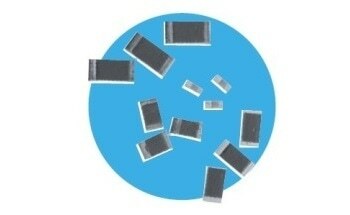 The thick film resistor material, overglaze, and organic protection are screen printed on a 96% alumina substrate. Wrap-around terminations have an electroplated nickel barrier and solder coating, which guarantees outstanding ‘leach’ resistance properties and solderability. Note that anti-sulfur version components below 100R are manufactured in flip-chip design with the resistor element on the underside. Components are not marked. Reels are marked with type, tolerance, value, date code and quantity. The body protection is resistant to all standard industrial cleaning solvents appropriate for printed circuits. Superior pulse to withstand performance.